Custom Hoops for both Kids and Adults. 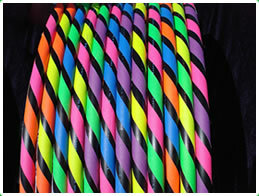 Our Hoops come in many flavors. 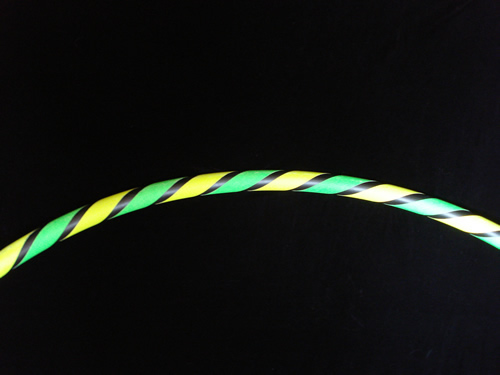 Click on a few of our hoops to inspect closer. Choose from a variety of colors. Blue, Purple, Yellow, Green, Orange, and Pink grip tape combinations. 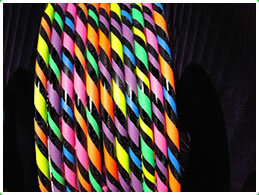 Our hoops are specially designed from high quality materials to last for many years and more. 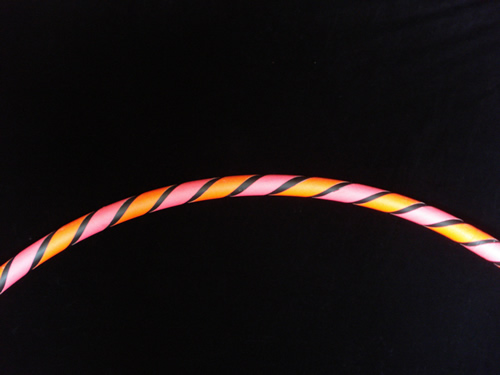 They are larger than other store bought hoops and are much easier for beginners and adults to master. 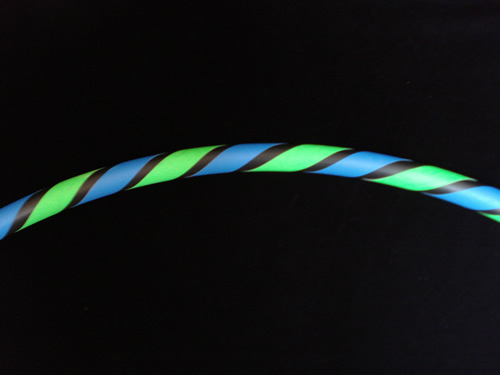 We use 1" two color double grip tape which keeps the hoop from slipping down and provides an amazing aerobic workout. Custom orders can include all color combinations including gold, silver, and reflective tape. Contact us for pricing. Give the gift of fitness that never stops giving. Buy your friends and loved ones a hoop. Hoop on! 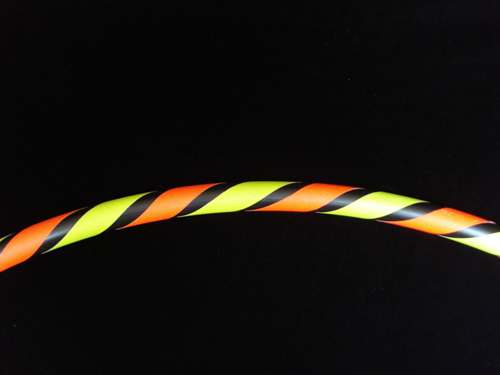 Our adult hoops are designed with high quality PTFE for long-lasting durability. 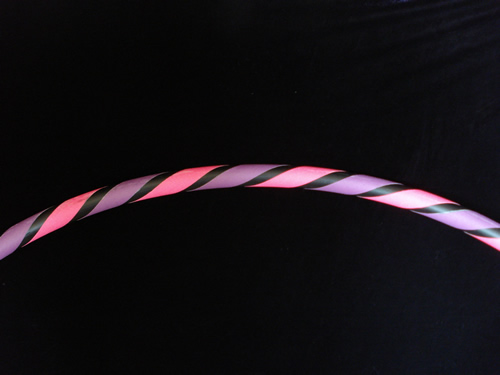 Each hoop is approximately 42" in diameter and weighs an average of 1.5 lbs. to give an optimal aerobic workout. Like our adult hoops, HOOPITUP! KIDZ hoops are made to last for years. 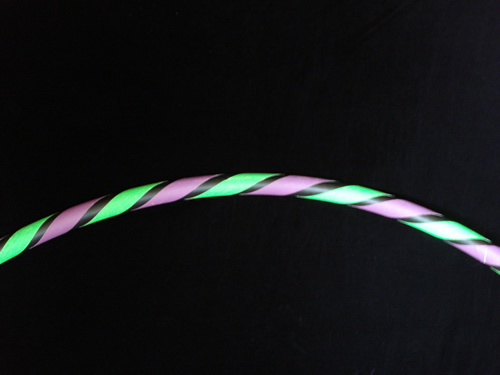 These hoops are considerably smaller (approximately 36" and 1 1bs.) 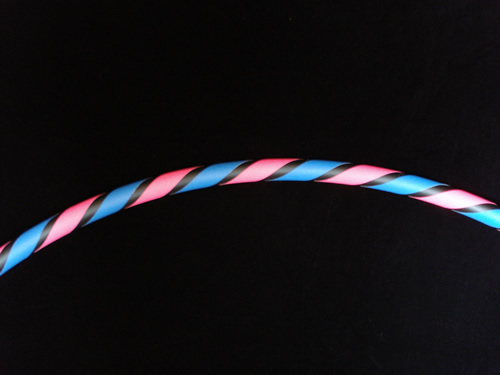 which provides the best hooping experience for kids. We use 1" grip tape on our hoops combined with a double roll of 1/2" grip tape so kids can pick it up and hoop easily. All shipping costs are for shipping in the continental United States. For international shipping or Bulk discounts call or contact us.